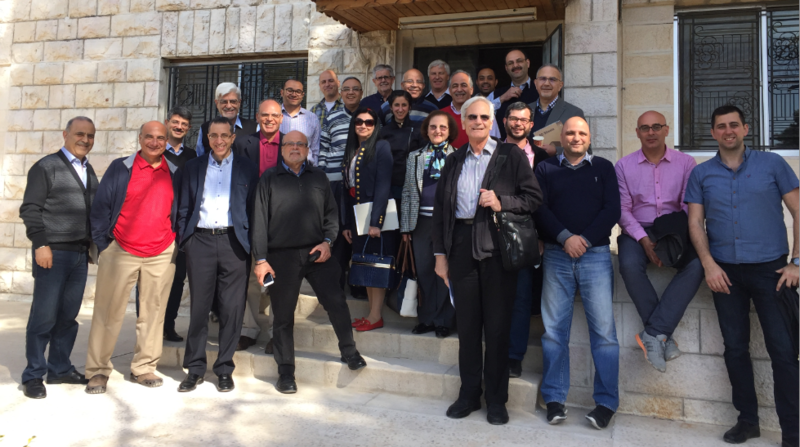 The Forum hosts men and women - theologians, pastors, and lay Evangelical leaders – who are concerned with presenting a biblical perspective on local issues facing the Church in the Arab world. The Forum seeks to support the Church in offering a faithful witness to the Evangelical faith, by offering an analysis of contemporary issues from an Eastern Theological perspective. The Forum addresses ecclesiastical, social, economic political and environmental issues both objectively and contextually. Studies conducted by the Forum express an Evangelical voice rooted in the Eastern tradition, which seek to activate the Christian presence in the Arab World. In addition, the Forum seeks to transmit an Arab Evangelical voice in regional and international events and settings. Furthermore, the Forum helps deepen the fellowship between like-minded people and creates a platform for exchanging knowledge and resources.